Are you planning to attend a motorcycle show this year? Motorcycle shows are the kickoff to another year of riding. I attended my first motorcycle show 7 years ago. The first motorcycle show I attended was the Great Atlanta Motorcycle Show. This annual show is held in late January. If you are familiar with Georgia weather you know it is as unpredictable as a cage driver. The weather leading up to the show was beautiful. My riding friends and I were anticipating a great ride to the show.. The weekend of the show the weather turned cold and wet. Needless to say riding to the show was not an option. One benefit of attending a motorcycle show is meeting and getting to know the people from different resources for the products you plan to buy. Often we find ourselves in a rut using the same old products not knowing there are other options available. By attending a show you have the opportunity to talk and learn about how to and why you should buy one item versus another. The time you invest learning about your options will provide comfort and likely better results with greater satisfaction. We met old friends and made new ones. One great thing about a motorcycle show is there is something for everyone. Organizations you would expect to be present were there including ABATE, The Patriot Guard, and AMA. CMA along with various riding groups had booths recruiting members. Of course, there were lawyers promoting their services. More importantly there were manufacturers and businesses promoting their products directly to their customers. The Great Atlanta Motorcycle Show was my first show. After the first year we became a vendor at the Great Atlanta Motorcycle Show and the Easy Rider Show in Nashville. 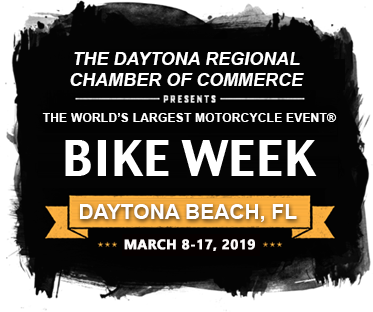 Daytona Bike Week is the official start of the riding season. For motorsports enthusiast Daytona is where it all began. When planning to attend Bike Week prepare yourself for fun, friends, experiences, and memories of a lifetime. Bike Week can be overwhelming. The secret to enjoying Bike Week is to pace yourself. The crowds are huge, lines are long, and the sites – words cannot give it justice. Bikes, people, music, and everything you imagine is present, just more than you imagined. One thing to consider is a short ride to and from the venue will save money and possibly a little of your mind. Daytona Bike Week is the first, others follow. Remember you don’t have to stay the week. Thunder by the Bay Music and Motorcycle Festival has to be my favorite memories of a rally. It is held in Florida the first weekend of February. I remember leaving cold wet Georgia driving south. A couple hours into the drive the skies began to clear as I could feel the warmth from the sun on my face. By the time I arrived in Sarasota the temperature was in the mid 70’s with the sun shining. Thunder by The Bay is held in downtown Sarasota. The entire downtown transforms Friday night from business into a music venue. Saturday morning the festival opens with multiple stages and an attendance of more than 40,000. There are food trucks, vendors, artist, and motorcycles everywhere. It is truly an event I would recommend. One of the best memories I have had had nothing to do with the festival. On Sunday morning before the festival began I rode my Triumph Thunderbird to the beach. I was riding in short sleeves, no helmet, over the causeway out to the beach in February. When I think of freedom this is one of the memories that comes to mind. There are also club and organization rallies. These rallies are more frequent, much smaller, more focused. Some of the rallies I have attended are: The Blue Knights LEMC, Combat Vets, Southern Cruisers Riding Club, ABATE, Christian Motorcycle Association and more. These organizations ride with a purpose having a membership of common interests. These events bring unity to the organization through riding and fellowship. Most of the rallies I attended with these organizations raised funds to help someone in need. Enjoying a weekend of fun, while helping someone else, makes these opportunities really special.